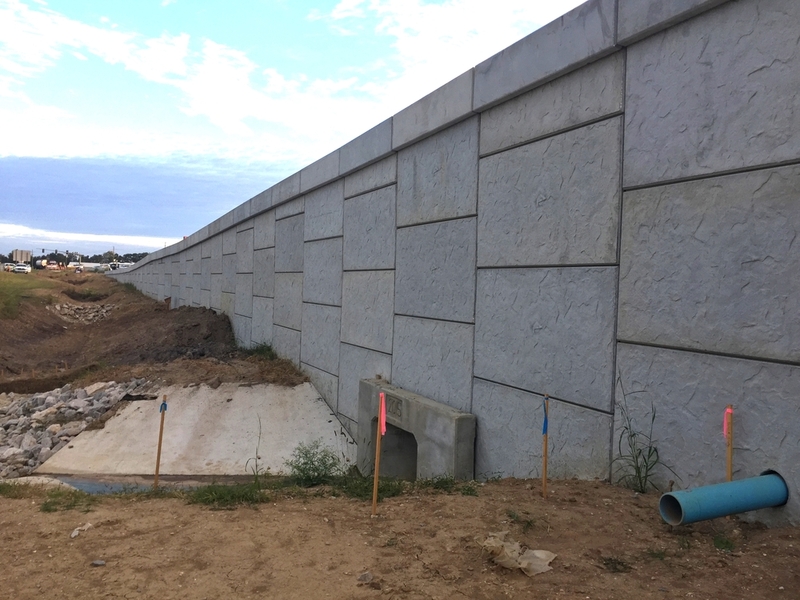 When your site requires a retaining wall for grade separation in a fill condition, a MSE Segmental Retaining Wall provides a flexible, attractive and affordable system. 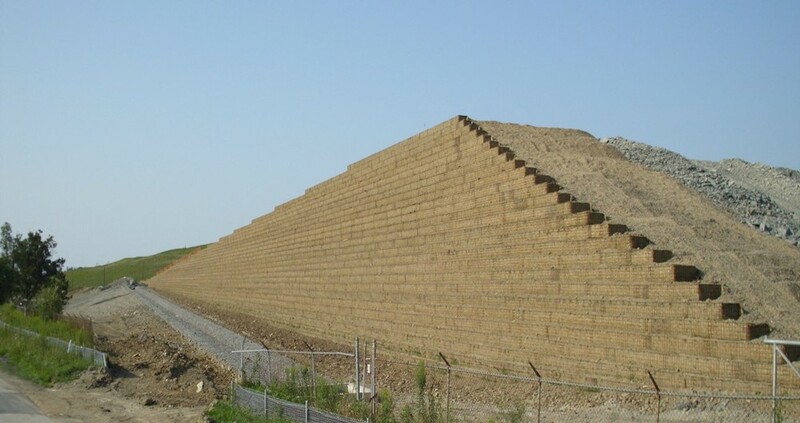 The MSE Segmental Retaining Wall system is made up of concrete facing units connected to soil reinforcement composed of materials resistant to physical deterioration. 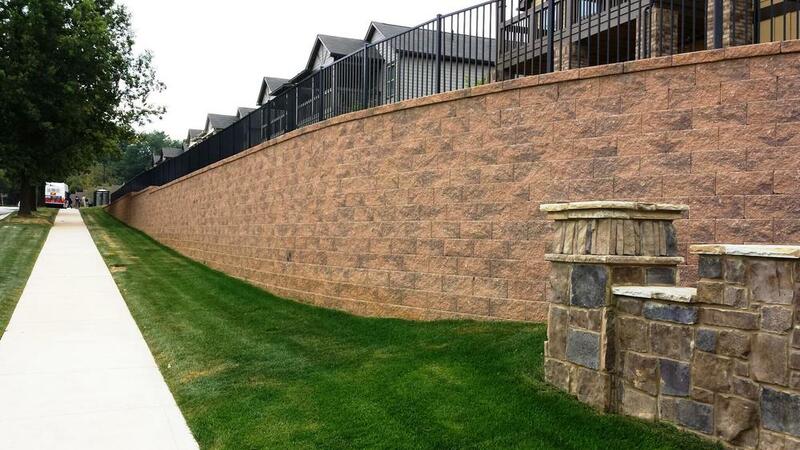 MSE Segmental Retaining Walls can be installed as quickly as the backfill can be placed and compacted behind the wall. Stone backfill can be used in place of soil so weather is not a factor in the installation process. 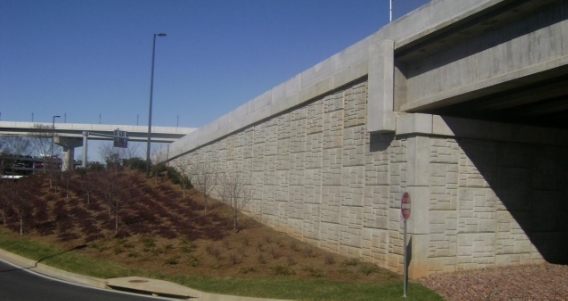 Segmental Retaining Walls are typically 20% to 40% less expensive than conventional Cast-In-Place for walls over 10 feet high. Facing units can be radius or straight faced and come in a variety of textures and colors. The MSE Panel Retaining Wall system performs extremely well in a multitude of conditions, and particularly well in seismic zones, due to the built-in flexibility of the system, which allows for some movement without distressing the structure or causing cracks. 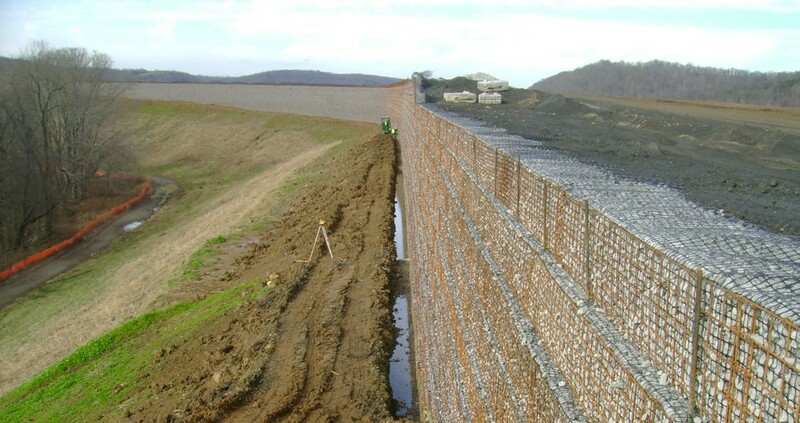 MSE Panel Retaining Walls can also tolerate a certain amount of settlement, making it a desirable solution even in relatively poor subsoil conditions. The MSE Panel retaining wall system is made up of a precast concrete fascia panel and reinforcing steel that is tied to the back of the fascia and extends horizontally into preselected and compacted earth backfill. 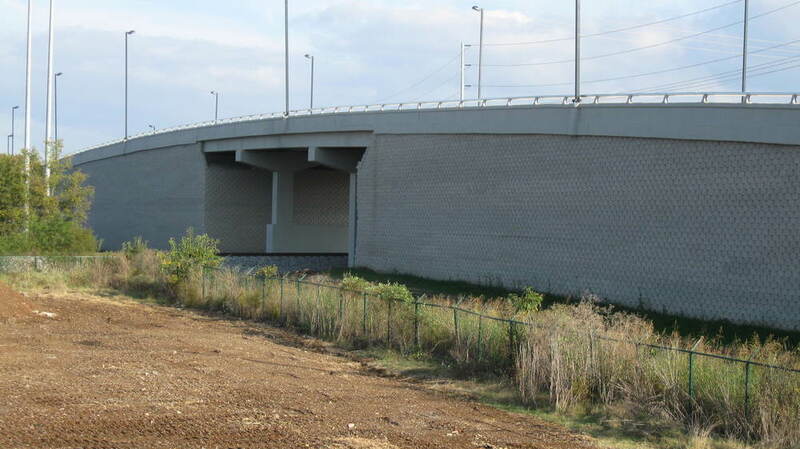 The interaction among the facing panels, reinforcing steel and the selected backfill forms a block-like structure that can be used to support elevated roads or similar construction. The precast fascia can be manufactured with many different textures and colors. Similar to segmental block retaining walls, MSE Rock Filled Wire Face retaining wall systems work when your site requires a retaining wall for grade separation. Welded wire basket forms are used in place of the concrete facing units. 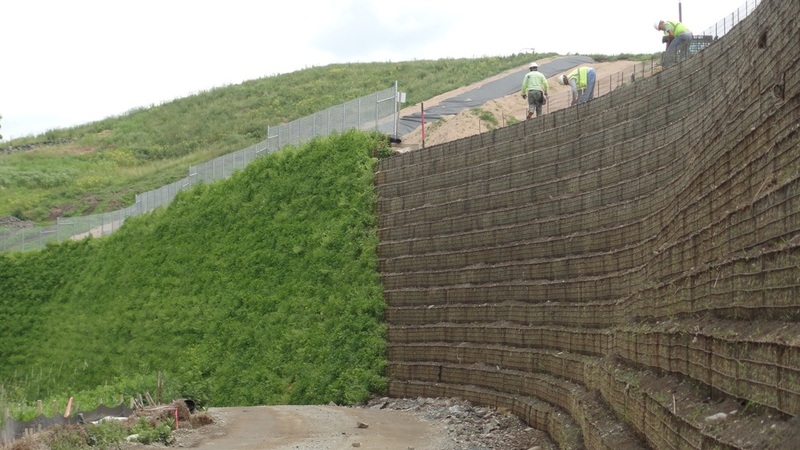 The baskets are wrapped in a biaxial geogrid reinforcement to hold the crushed rock in place while a uniaxial geogrid product is used to reinforce the retaining wall structural backfill. MSE Rock Filled Wire Face retaining walls can be installed as quickly as the crushed rock backfill can be placed and compacted behind the wall. Baskets can be made of galvanized steel for applications near water that need to withstand hydraulic forces of streams or rivers. 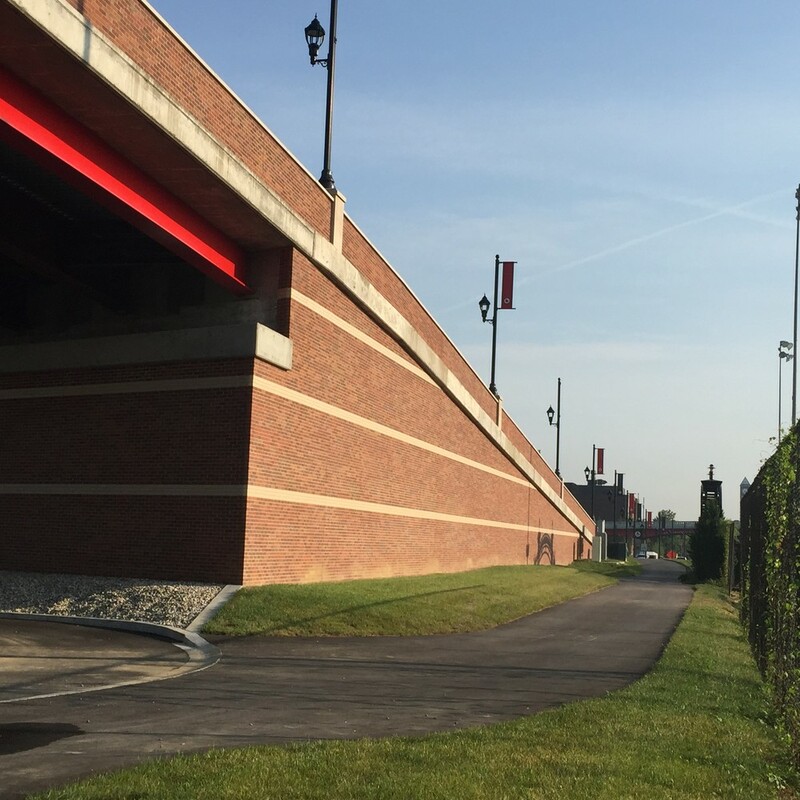 Similar to Segmental Block and Rock Filled MSE retaining walls, MSE Vegetated Retaining Wall systems work when your site requires a retaining wall for grade separation. Welded wire basket forms are used in place of the discrete concrete facing units. The baskets are wrapped in a polymeric geogrid reinforcement but are filled with soil. They can be planted with foliage or hydroseeded with grass. 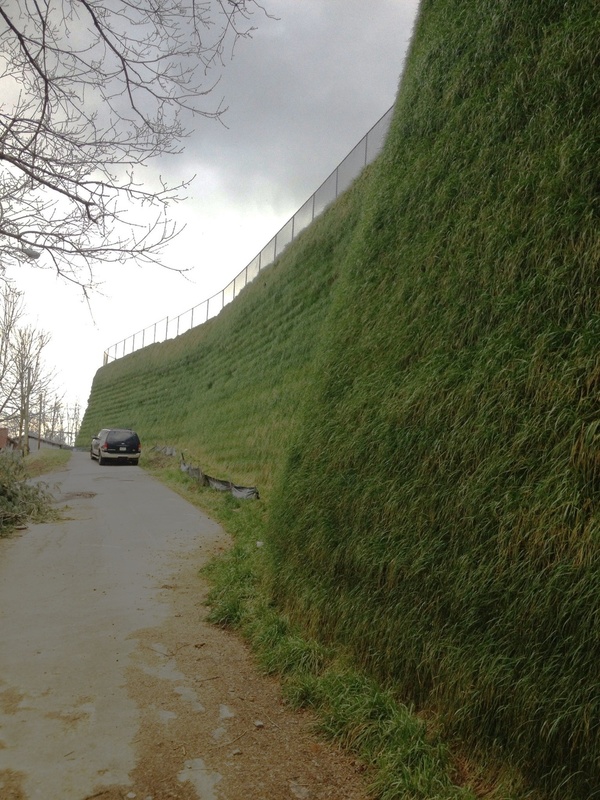 This solution provides a "green" alternative to conventional retaining walls. 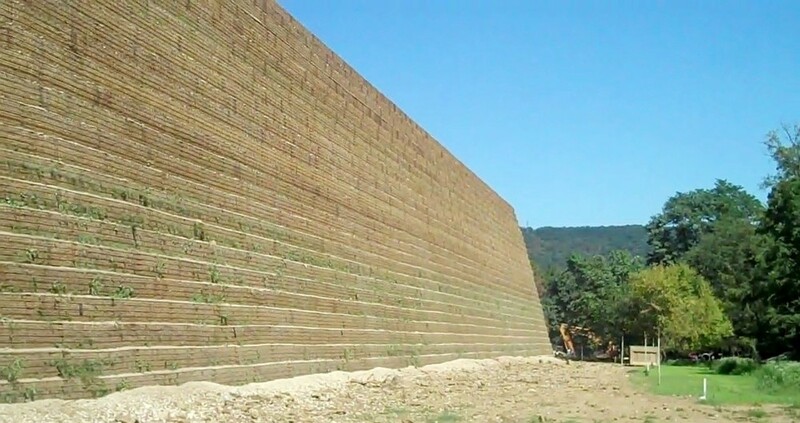 The retaining wall virtually disappears over time as the vegetation grows to hide the structure's baskets. MSE Berms have been used in roadway applications for more than 40 years and in landfill applications for approximately 20 years. Significant utilization of MSE Berms has increased as many existing landfills are nearing capacity and the siting of new landfills is very difficult. Owners and environmental agencies are now exploring ways to optimize the capacity of existing landfill footprints. One way to do this is to construct properly engineered perimeter berms around a landfill facility. One optimization technology is the use of mechanically stabilized earth (MSE) berms. MSE Berms consist of compacted earth reinforced with geosynthetic layers. MSE Berms provide more disposal capacity on the existing footprint of a landfill by building a vertical structure (the MSE Berm) around the base of the landfill (or partly around the landfill), and then filling the space between the berm and the existing sideslope with waste. MSE Berms may also create capacity by allowing the landfill to be built higher. MSE Berms are also used for vertical expansion of existing containment pods. In steep terrain, excavation is required to establish suitable conditions for the construction of the MSE wall. Some challenging sites do not allow for the installation of soil reinforcement for MSE Walls. Permanent or temporary shoring is often used to stabilize the backslope in mountainous, rugged, or steep terrains. Once the excavation has been shored, the construction of the MSE wall can be completed. 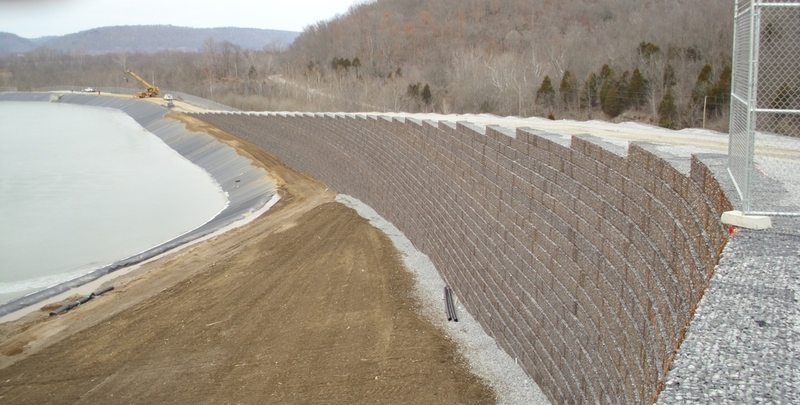 As opposed to large cast-in-place foundations to support soil and building loads for below-grade construction, Pressure Relief Retaining Walls can provide a faster, more affordable solution for addressing this critical construction need. Because the system effectively reinforces surrounding fill, lateral soil loads against the below-grade structure are eliminated allowing for lower cost foundation walls that are structurally equivalent to conventional methods. Low cost materials and speedy construction make pressure relief applications the system of choice to replace counterfort walls and reduce concrete reinforcement in structural foundation walls. This system is also the ideal alternative to complete demolition and replacement of an existing structure in order to accommodate increased loads due to facility expansion.